Annual romantic valentine's day is coming soon. 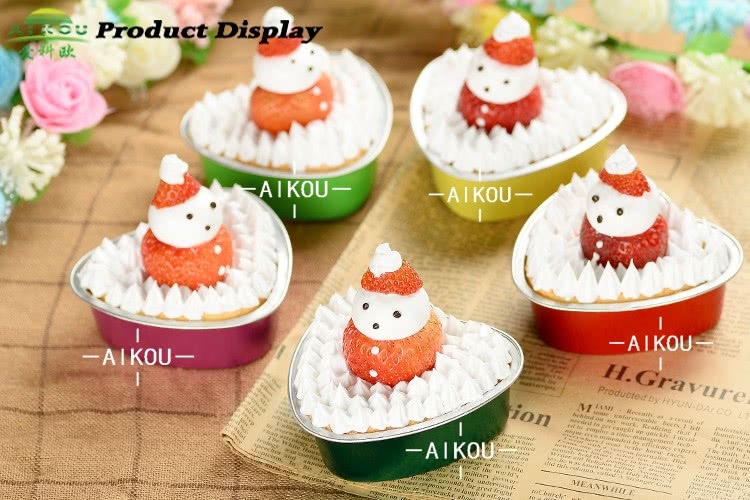 Do you finding the special and attractive cake cup or pudding cups? 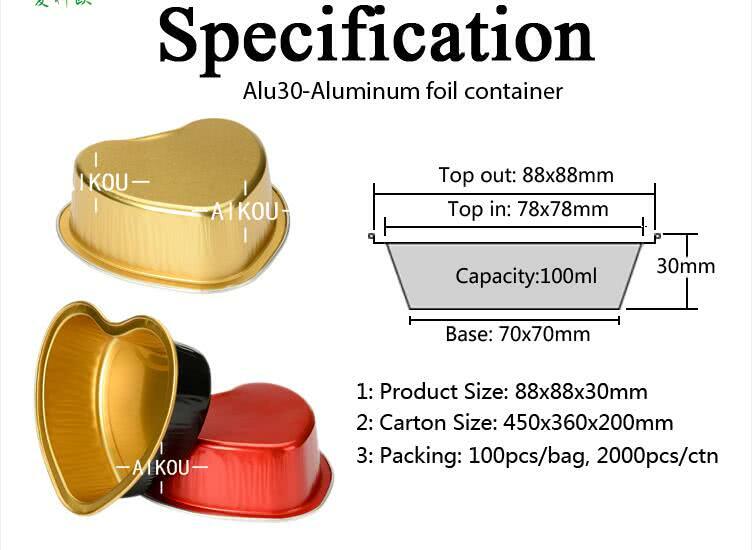 If so, congratulate you source the right supplier. 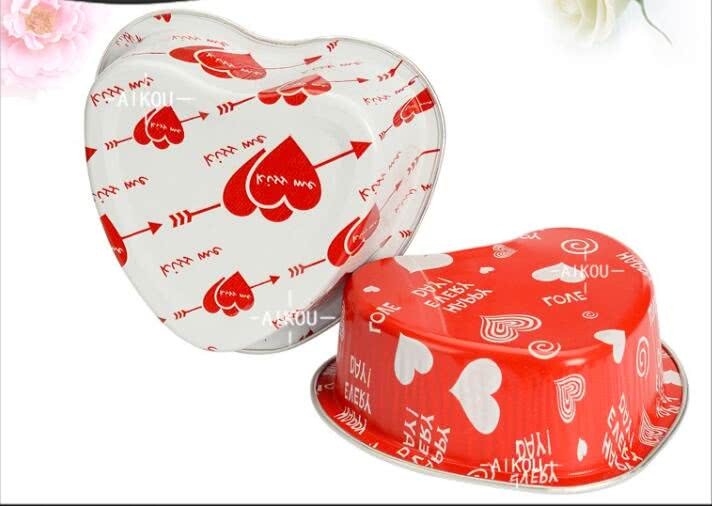 We are glad to share two of our heart-shaped aluminum foil baking cups with you. 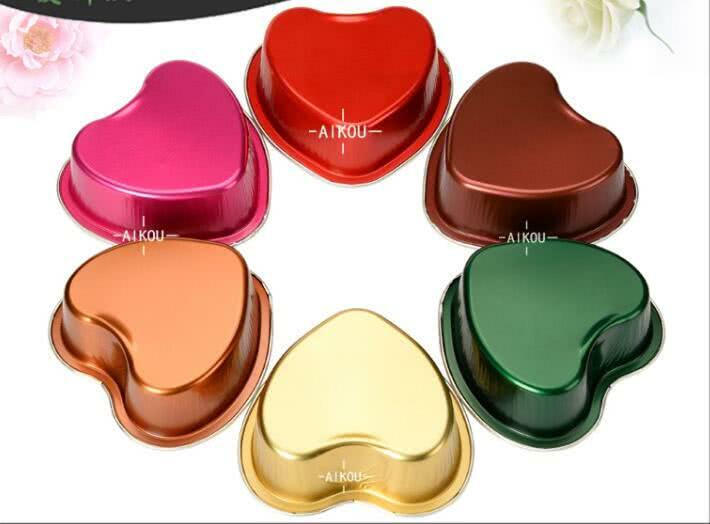 They are very hot selling for bakeries, sweet shops, wholesale and supermarket etc for Valentine's day. They could be produced with various lovely colors, like red, rose red, gold and kiss me pattern etc. 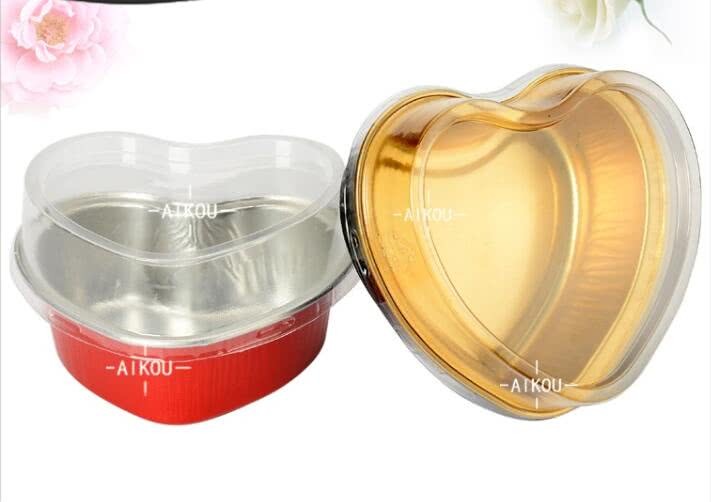 Both of them could match clear plastic lid. 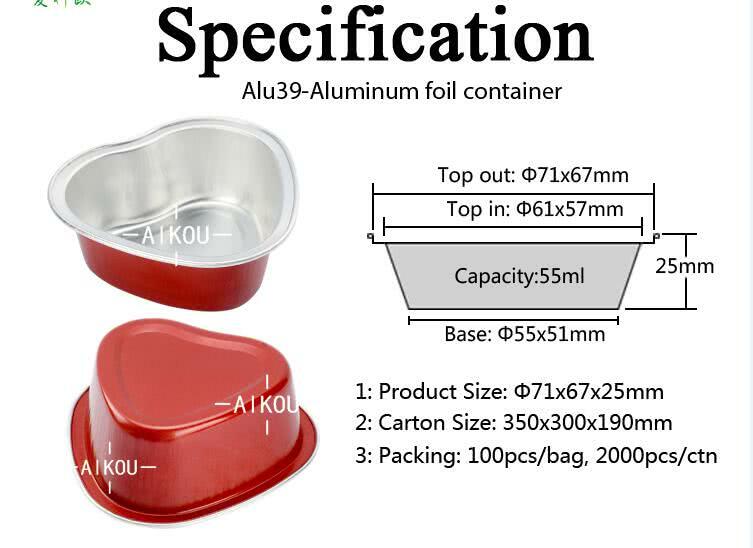 They are suitable for microwave, oven and frozen, suitable hardness for takeaway. please grasp the precious time to contact us.